Turkey, located between Europe and Asia, faces several conflicts due to recent political tension. Its geographical location provides significant opportunities as well as vital threats. The current Turkish government is trying to eliminate dangers and puts forth great efforts to create sustainable security in the region. But it seems that neither the European Union nor the U.S. is interested in Turkey’s efforts which are still hosting up to 3 million Syrian migrants. Today Turkish officials are discussing plans for what will come after its normalization process with Russia. Turkish President Recep Tayyip Erdogan mentioned the willingness of Turkey to be part of the Shanghai Cooperation Organization (SCO) instead of the European Union. According to analysts, his words have different meanings. Actually, Turkey as a part of Europe, wants to share a trump card against the EU in the case of a failed migration deal. Turkey’s Westernization process has a deep historical background since the 18th century. So relations with the European continent have always been an integral part of Turkish foreign policy. Turkey took very big advantages from the EU’s reform packages especially from economic and social aspects. The current AK Party government has been a successful practitioner of those reforms since 2002. But today the region in which Turkey is located is in chaos and the regional countries bear responsibilities to deal with the struggle against terrorism and migration issues. Turkey is a leading country which is hosting up to 3 million Syrian refugees, after receiving hundreds of thousands of Iraqi refugees. The EU has promised to provide economic assistance to Turkey in addition to some facilities such as visa liberalization. Ankara has waited for a long time but still there is no concrete answer from the EU without blaming Turkey’s policies in the region. The EU is a beneficial organization for Turkey, especially for its economy. Turkey has shown its serious determination since 2002 and established a special ministry for EU Affairs. There is no doubt about Turkey’s willingness to work with others. Today there are some problems, naturally. But it seems the two sides will come to an agreement to ease the process soon. This is just a temporary problematic process. On the other hand, Turkey mentioned a possible partnership with the SCO. Turkey is able to create a multidimensional relationship with different regional organizations since it is a country which is between Europe and Asia. 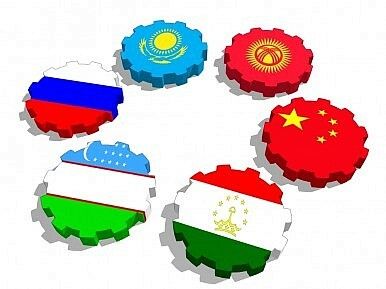 But according to analysts, the SCO is not seen as a beneficial organization like the EU is, especially on political and economic issues. Ankara can benefit from the SCO just on security and energy. Because this axis, where Moscow and Beijing are dominant players, is a really different direction for today’s Turkey. Interests, ideas, benefits, and expectations are totally dissimilar. No one can imagine that Turkey might agree with the desires of China on the Uyghur issue and of Russia on the Crimea and Nagorno-Karabakh problems as well as the Syrian case. At the same time, Turkey’s relationship with that region is not effective, unlike Russia and China. Organizational structure is also not suitable to follow that way for Westernized Turkey. Russian officials already announced that Turkey should leave NATO. Turkey was linked to the EU and NATO under the steady commercial and military agreements. There is no answer for how to realize this partnership with the SCO from Ankara officials. But I think that Turkey just plans to create an effective relationship with the dominant regional organizations and criticize the EU role to consolidate available ties. « Türkiye-Rusya Normalleşmesi Kafkasya’yı Etkiler mi?